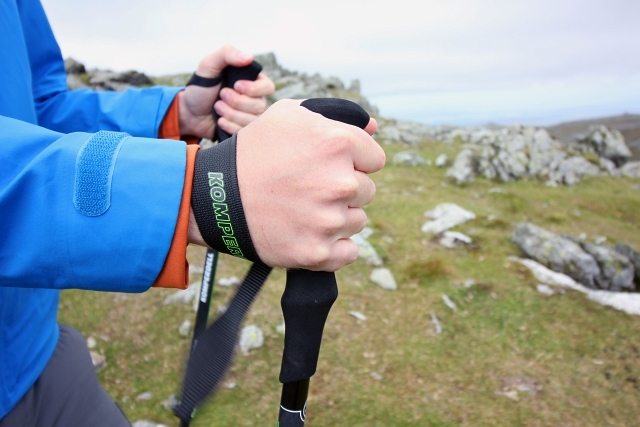 Furthermore, they also keep you upright aiding breathing and can help your grip on rough or tricky terrain! 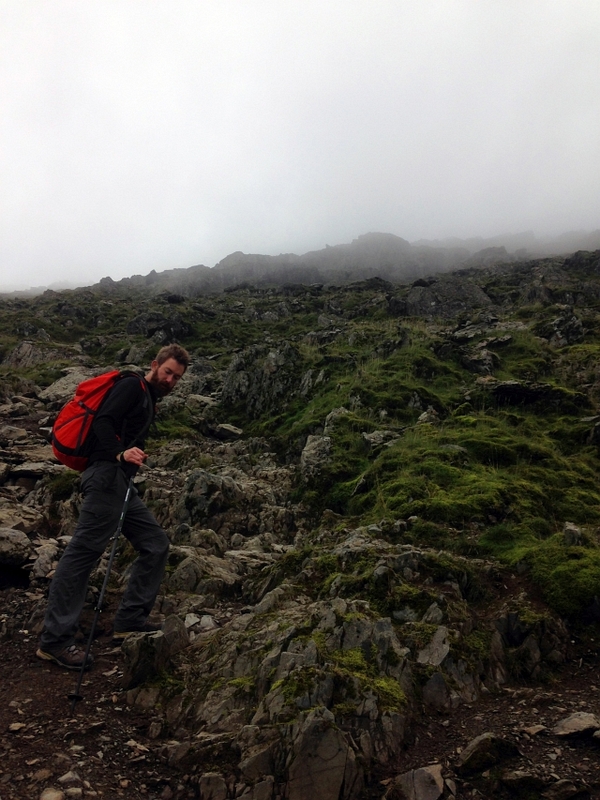 With all this in mind and after some rather achy legs after our last four days on the trot of mountain climbing, I decided to get myself a pair of poles and see if it made a difference on our latest trip which included five days of walking. 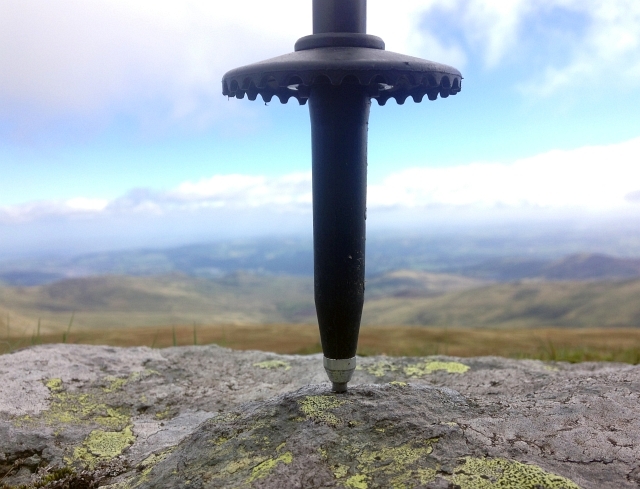 I opted for the Komperdell C3 Carbon Powerlock Poles and after extensive use in Snowdonia last week, I thought I’d review them for you all. I’ll talk first about the points of these poles. They are made of tungsten/carbide which makes them very strong, sharp and most importantly grippy. I spent ages trying to get these poles to slip or slide, even on the smoothest, slipperiest rock, at a great angle and even with a large amount of pressure, they still wouldn’t budge. I was really impressed by just how much these poles gripped all surfaces. It gave me a huge amount of confidence in these poles which is important especially on tricky descents. 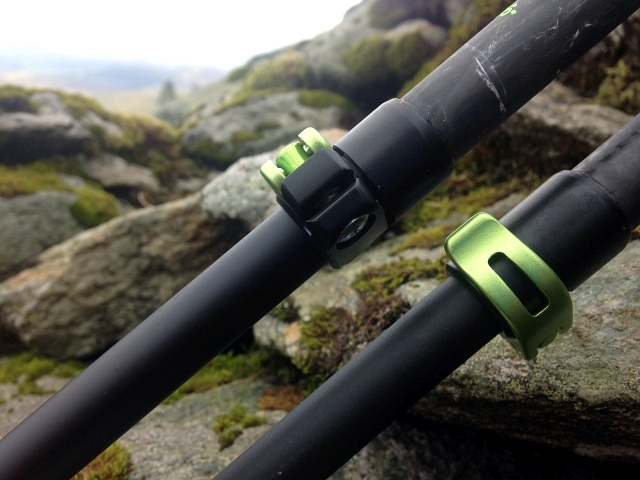 These poles get part of their name from the Power Lock 3.0 mechanism which Komperdell have created to solve the problem of the standard twist lock that you see on most walking poles. 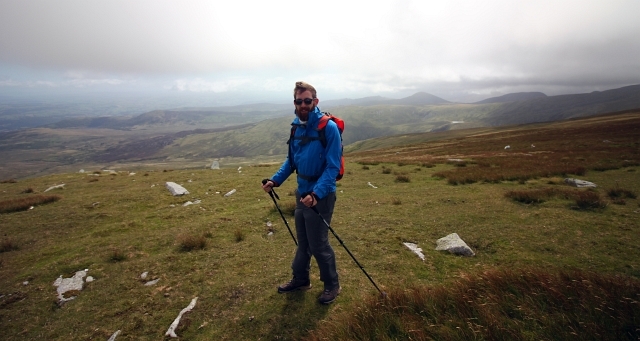 Many moons ago, I used a pair of walking poles when hiking on Dartmoor as part of my college course. These poles had twist locks which were the bane on my life. 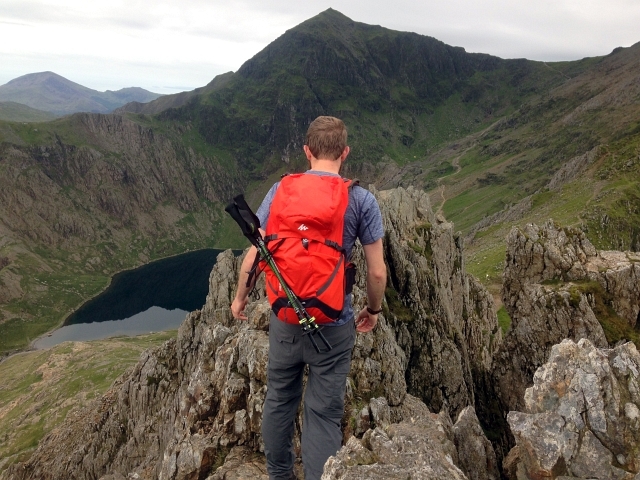 The power lock is adjustable in seconds and when in place doesn’t move at all during a full days hike. I walked up and down several mountains using these poles and at all times it stayed locked in place. The mechanism functions simply by being lifted up to disengage, then once you’ve adjusted the poles, push back down to fix the poles in place. No twisting or faffing about needed, and when locked in place they are easily unlocked with one hand. Adjusting the poles to height couldn’t be made simpler as Komperdell have put length markings down the mid section of the poles. So once you’ve found your perfect height, all you need to do is to remember how many cm the pole was extended to and then you can pack them away, safe in the knowledge that you can have them back to the perfect height in seconds. On the subject of stashing the poles, it’s made really nice by the small size they pack down to at just 68cm! Don’t worry though, they aren’t short poles, they can extend to a length of 140cm, making them really good for the taller walker. 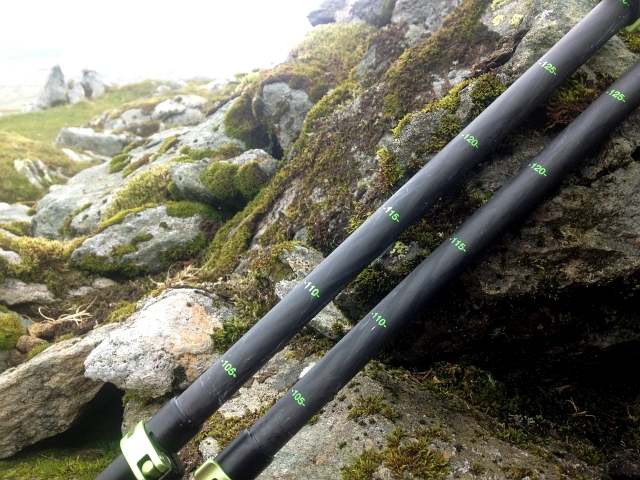 Being made of mainly carbon, the poles are super lightweight and come in at just 214 grams per pole. The weight is barely noticeable in your hands and when stashed on you pack. I found that even when scrambling between narrow pinnacles, the poles, being just 68cm, didn’t snag or get in the way. The grips are made of an EVA foam which is great. I was amazed at how tough this material was, even when battling on mountains for days it didn’t get scuffed or damaged. They were comfortable to grip for both my hands and Vicky’s (so ladies should be fine with these poles). In the wet and misty weather, the grips remained secure to hold and didn’t become slippery. There are padded straps which are also easily adjustable so you can get them to be exactly as you require. When walking down hill, I prefer to hold the grip by the top to give myself something to push off, the top of the grips are rounded and make this comfortable for even long descents. 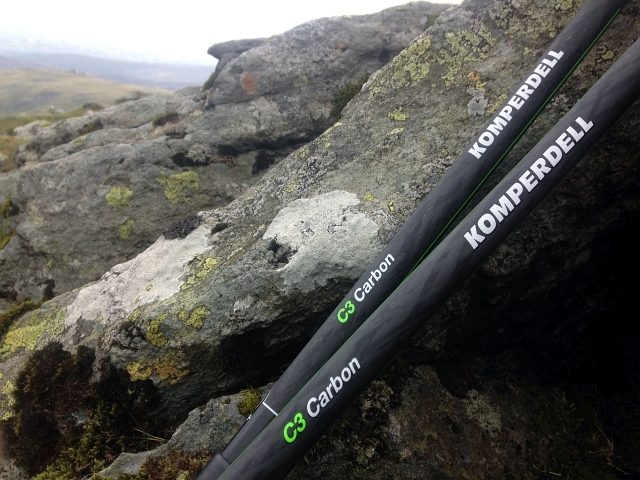 In conclusion, the Komperdell C3 Carbon Powerlock is a great purchase for anyone who wants a pair of quality walking poles. They aren’t the cheapest poles you can pick up but I firmly believe that if you were to buy a cheaper pair you’d regret it. When you’re spending so much time walking and using a piece of equipment, poor materials and design can really impede you comfort and enjoyment of an activity. I love these poles and found them so light and slim that I forgot that I was even using them. The grip, strap and locking mechanism are so well designed, that they work flawlessly every time with perfect comfort. If you need a pair of poles I would thoroughly recommend these.